Your private driver will pick you up at Syracuse port and take you to the town of Ragusa, famed for its baroque architecture and UNESCO designation. 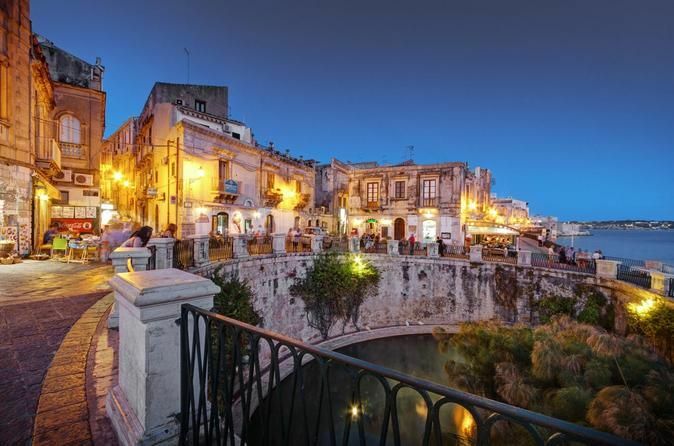 Ragusa is one of the most picturesque towns in Sicily. The view from the upper town over Ragusa on its own separate hilltop is breathtaking. Ragusa is also one of the principal filming locations for the Sicilian detective drama "Inspector Montalbano", a series which has done wonders for publicising the beauty of this area. Discover the jumble of churches and buildings built one on the other across the hill where the city stands and see Ragusa's major landmarks. Next, travel to Modica, which is an attractive historic town in south-eastern Sicily, and one of the area's UNESCO-listed Baroque towns. It boasts picturesque views and historic lanes. Modica is particularly famous for its chocolate, and it is an appealing destination for food-lovers. Stop for a tasting at the oldest chocolate factory in Sicily, and one of the oldest in Italy, which has been producing and passing down sweets, nougats and traditional chocolate for six generations and more than 150 years. Your private driver will drop you off at your ship at the end of your day.